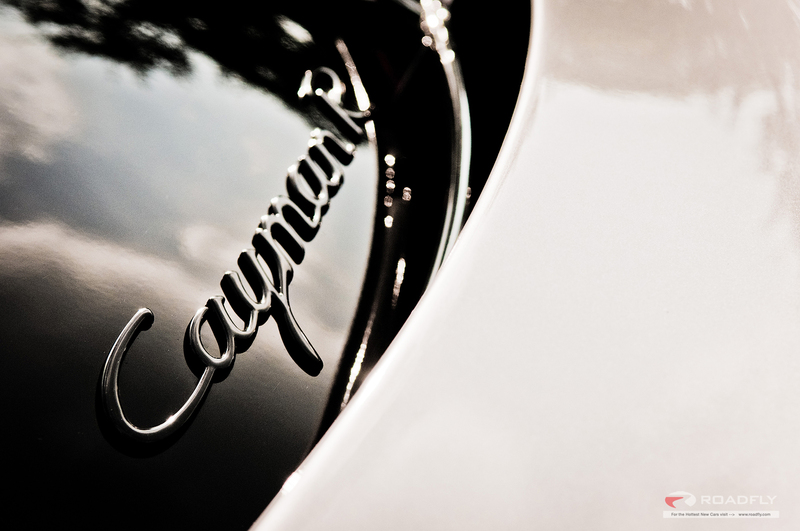 The 2012 Porsche Cayman R was one of the most-anticipated cars to ever come through the Roadfly office. The car’s stats are simply stunning: 0-60mph in 4.7 sec. 330hp @ 7500rpm, 2855 lb. Even the door handles have been replaced with nylon tabs to reduce weight. The results are predictable. The Cayman R is virtually telepathic, to the point that it nearly bores you. It’s so free of vice that you start to feel that it’s just like a normal, civilized car, with a tad more immediacy…and you wonder what the big deal is. Only when you go back to your daily driver do you realize how responsive the Cayman actually is. It’s a nearly perfect machine. It makes few compromises that interfere with spirited driving, but still manages to be completely docile, tractable, and even practical with its two trunks and stellar reliability. It also gets great fuel mileage, at 19 city and 27 highway when equipped with the 6-speed manual. Ever gone to a movie that didn’t blow you away at first, but weeks later you’re still thinking about it and can’t get it out of your head? That’s what my days with the Cayman R left me with. This car is definitely on my ‘short list’ of cars I want to own before I die. It’s slightly expensive with a starting MSRP of $66,300, but given how well-built Porsches are in general and how good their resale values are, the price is fair in my opinion. Visit the Roadfly forums for a downloadable window sticker. Possibly the most reliable high performance vehicle in it’s class huh? I’d think that one over again. Take a look at all those IMS failure reports out there and see how Porche stuck it to their customers when they started working with Toyota in the 90’s to cut back on costs. It showed, cheap platics and corner cutting whenever they could. We’ll see if the new powertrain can reclaim the Porche schtick of being bulletproof. I’d still take a 1987 911 and in my opinion last of the hadmade porches up till 99 over this track toy.